Early mornings bath the cliffs of Zion in warm light, intensifying the already vivid colors of the mountains. 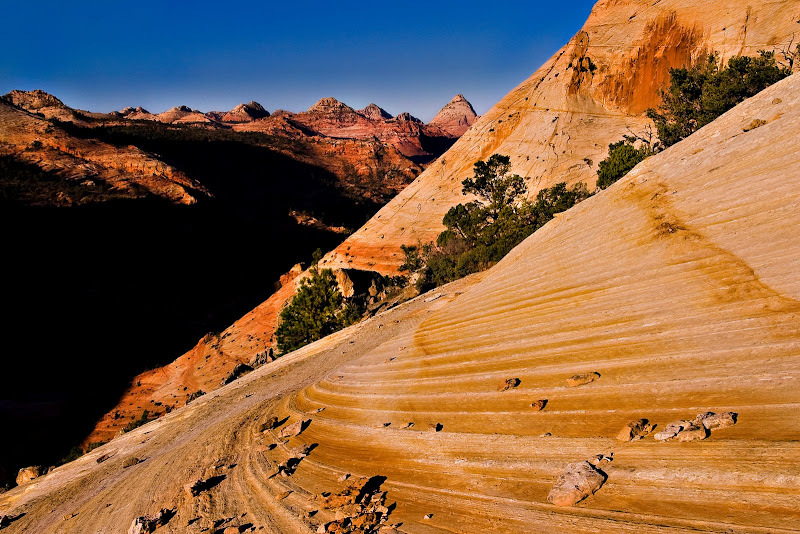 I climbed this mountain the obtain a breathtaking view of the mountains and valleys of Zion that appear to go on forever. And yes, it was very steep - harder to get back down than to climb up! After taking some photos of the fantastic views at sunrise, I looked around me (in an attempt to avoid the inevitable trip back down the mountain face) and to my surprise, found a herd of Bighorn sheep. 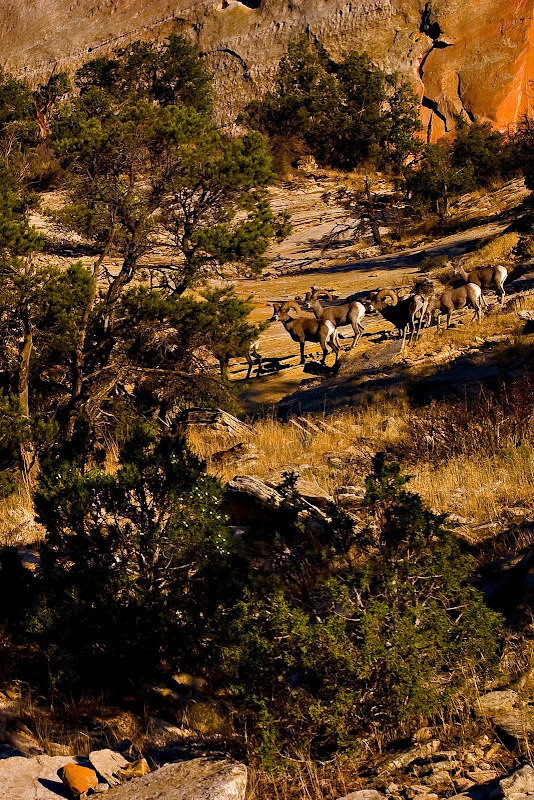 Bighorn sheep were reintroduced in Zion National Park in the 1990s, in an attempt to bolster the dwindling population of Bighorn Sheep in the west.